If you ask Polish Jews living in Warsaw, Kraków or Wrocław about the revival of their communities, they’ll tell you that’s old news. 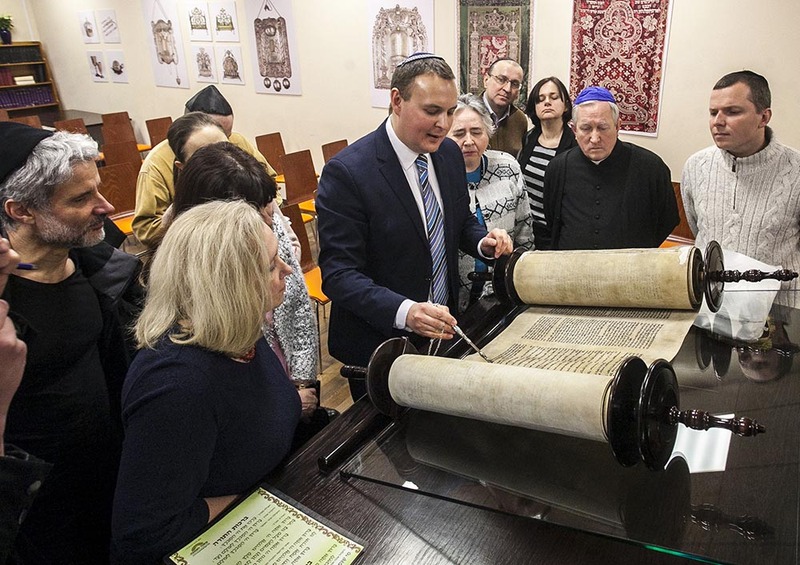 But for anyone who isn’t a member or is visiting Poland from abroad, the fact that there is a small, but thriving Polish Jewish community is a surprising revelation. After all, Poland has had the unfortunate reputation as the location where millions of Jews died during World War II. In fact, many abroad still see the country as the site of Jewish ghettos and concentration camps and little else. More often, their assumption is that no Polish Jews have remained. The assumption of the outside world is that Jewish Polish culture has died. And while part of it did, that doesn’t mean there is no modern culture. We want to spread the word that we’re here and we’re alive. There are definite signs of a burgeoning community. Just swing by the Warsaw JCC on a Sunday, and you’ll see how the ground floor overflows with Jewish and non-Jewish diners sharing a delicious kosher brunch. In Kraków, the popular Jewish Culture Festival takes over the Kazimierz neighbourhood every summer for a week of showing how dynamic, contemporary and diversified Jewish culture is. Then, there are the numbers like 700 Jewish teens from Poland who have gone on birthright trips to Israel. And just this month, the Polish Jewish athletic team competed in the Makkabiah, or the Jewish Olympics, and won Poland its first gold medal in 82 years. Community leaders say these are all positive signs of continuity. Some people say 20,000, some say 50,000. I say 'who cares?'. 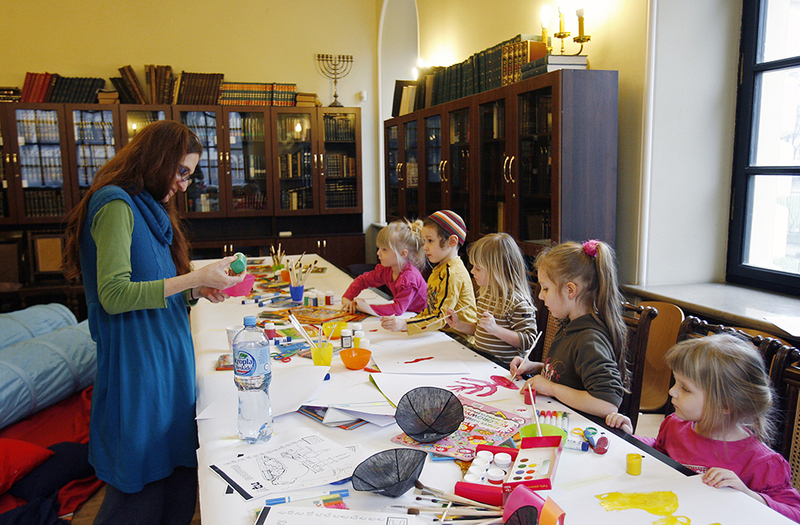 What’s more important is to create engaging educational, social, intellectual and religious programming to give them a chance to become connected to the Jewish people. When I started in 1990, we didn’t know if you were talking about just three dozen young people. 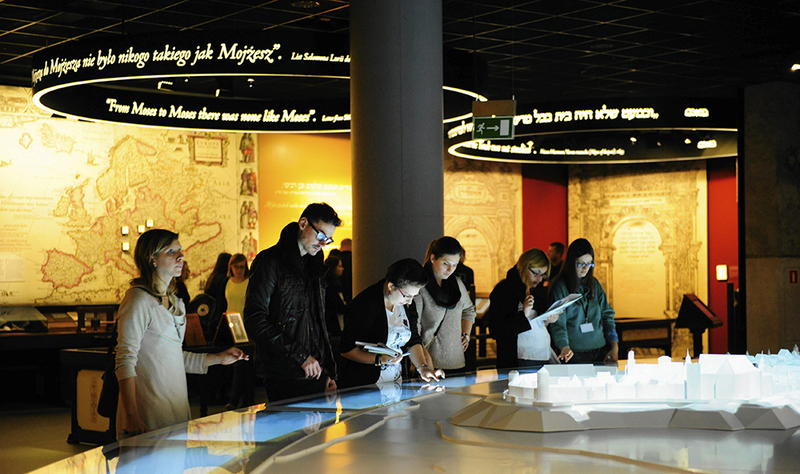 Since then, thousands of Poles, maybe even tens of thousands discovered their Jewish roots. Rafał Szymczak, a publicist who lives in Warsaw, is one of such Poles. He found out his grandmother was Jewish in the late 1980s, though his new identity took many years to come into its own. For the first few years, Szymczak called himself ‘a Pole with Jewish roots’. Now, he identifies as a Polish Jew. In a country where minorities make up only 3% of the population, that nominative difference is crucial. What helped him embrace his newfound identity were several steps. First, he went on a trip to the U.S. and then to Israel organised for young Polish-Jewish professionals, which helped him meet other people Polish Jews. He then began to actively participate in several Jewish programs run by international organisations in Poland, such as the Limud educational conference and summer camps for families and kids organised by the American Jewish Joint Distibution Committee. But the final step toward fully embracing his Jewish identity, he says, was deciding to raise his daughter Jewish. It’s important that there are people who’re openly Jewish. In the 1960s-80s, everyone knew there were Jews in Poland, but they were hidden. Now, if you meet a Jewish person or see a Jewish place, it makes you braver to explore your own roots and join the community. The JCC came to be because the community needed a safe space where everyone could come in and express their Jewishness in whatever way they wanted. Nowadays, Poland is a very homogenous society, so it’s super cool to find out that you’re a bit different and then explore this special thing about yourself. She concedes that discovering Jewish roots isn’t easy for everyone. For people who find out later in life when their identity is already fully formed, incorporating it into their lives can be a great challenge. Some people are excited about it and some are too shy to even enter our building. For people who struggle to say they have Jewish ancestry it gets normalised because of being around other people who take it easy. The more organisations and activities there are for local Jews, the easier it is for people to come into the fold. 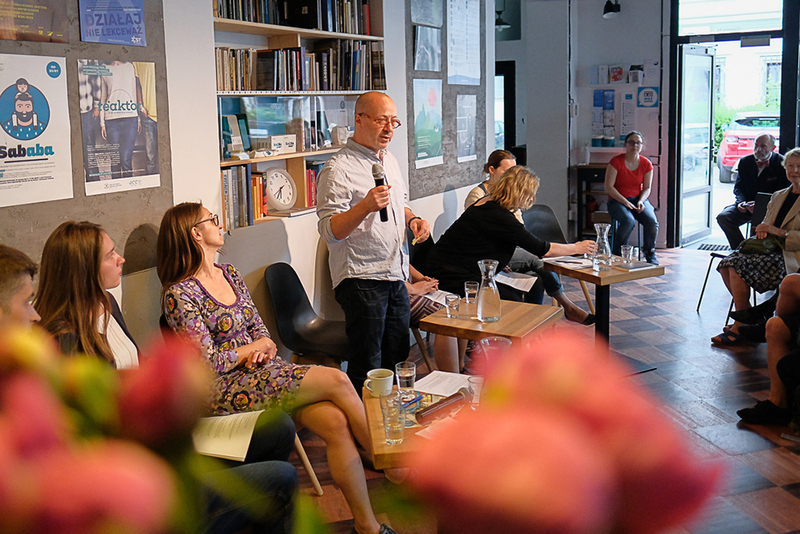 While in the 1990s, most of the active groups in Poland were founded and sponsored by foreign-based Jewish organisations, today Poland’s Jewish community is on the cusp of becoming independent. 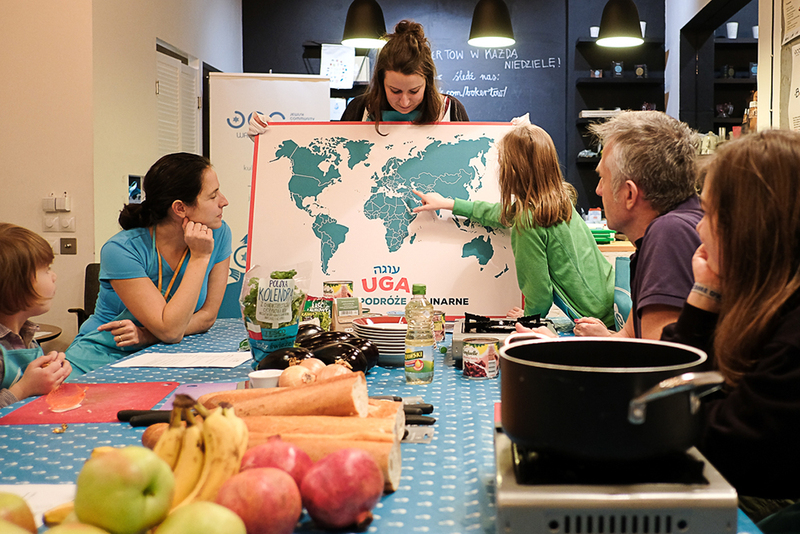 It wasn’t easy for us to create life twenty-five years ago, but now we don’t need people from outside to help us as much in terms of organizing and having ideas. We know what to look for, we create our programmes for ourselves and we feel much more comfortable doing so. It’s a very long process to feel that you can be Jewish and that you can do it for yourself and you don’t need to wait for help from the outside. But that’s the biggest change our community has seen: we took our lives in our hands. 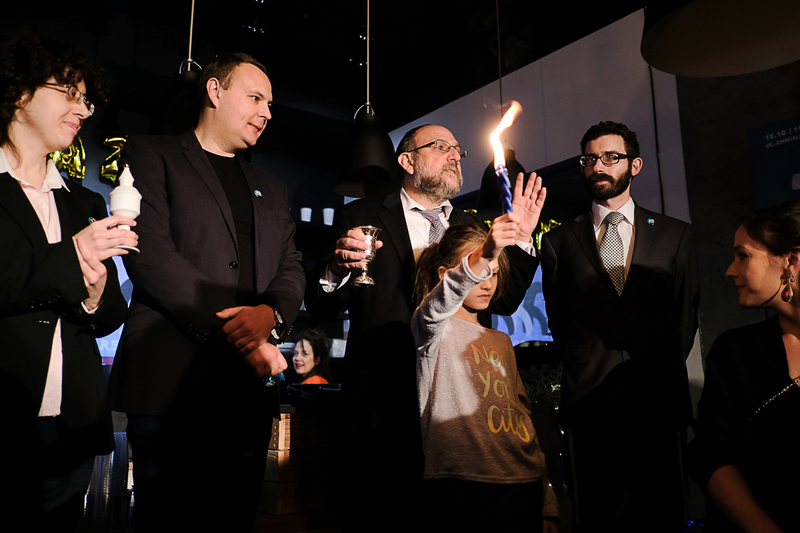 Rabbi Schudrich, who is based in Warsaw, says all the combined efforts mean that the capital has reached critical mass for a small Jewish community. 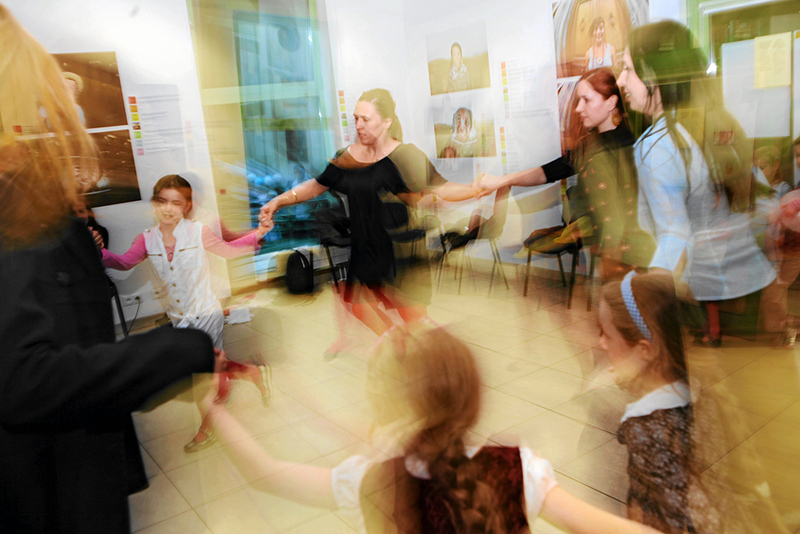 In fact, every organisation – from the JCC to EC Chaim to the Warsaw Jewish Community’s building on Twarda Street – seems to be outgrowing their current space, especially during bigger events such as on the Jewish holidays. Twenty-five years ago, our challenge was almost all post-Holocaust, post-Communism related. Now, we have typical challenges of a small Jewish community like how to find nice Jewish boys and nice Jewish girls to marry each other. He says working as a rabbi in Poland means he faces a unique challenge in deciding between dedicating his efforts to the preservation of the past versus toward building the future. How much time should I spend saving the cemeteries or looking for lost mass graves and how much times should I spend talking to people about their Jewish roots or talking to non-Jews about Jewish culture? I have no idea, so I try to do everything. Hate speech and hate crimes are growing. Jews may not be next on the list, but we’re not far off. We don’t know what will happen in the future. Every Sabbath, we pray for Poland, so hopefully it works. I'm amazed that it happened this way and not the other way around because twenty years ago it seemed like those were the last Jews.